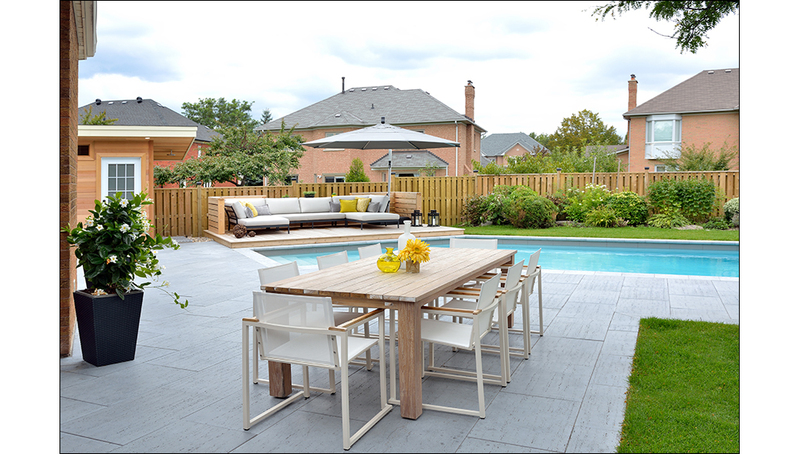 From an ordinary backyard to a private oasis! 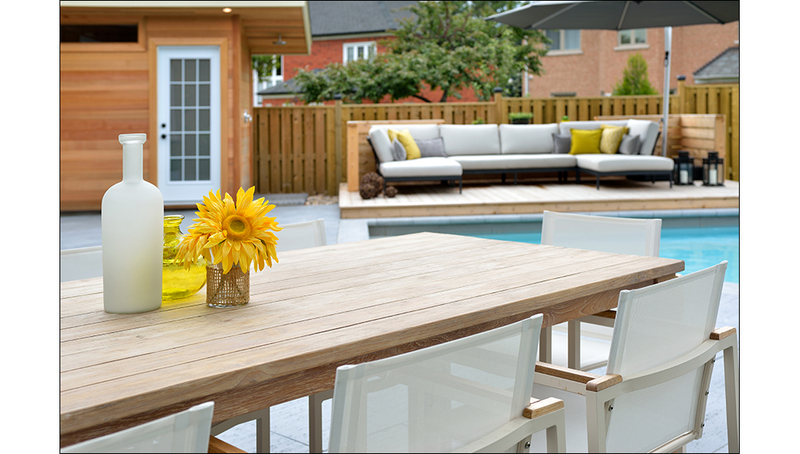 Upside Development worked to create a serene retreat for the residents of this Bayview Hills home. 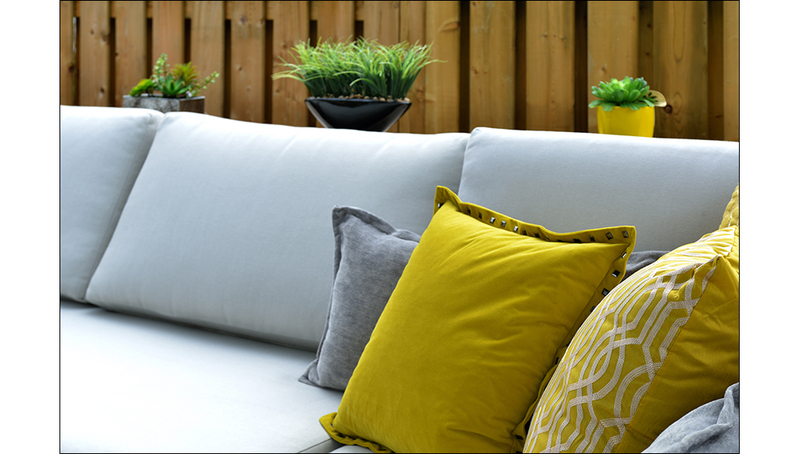 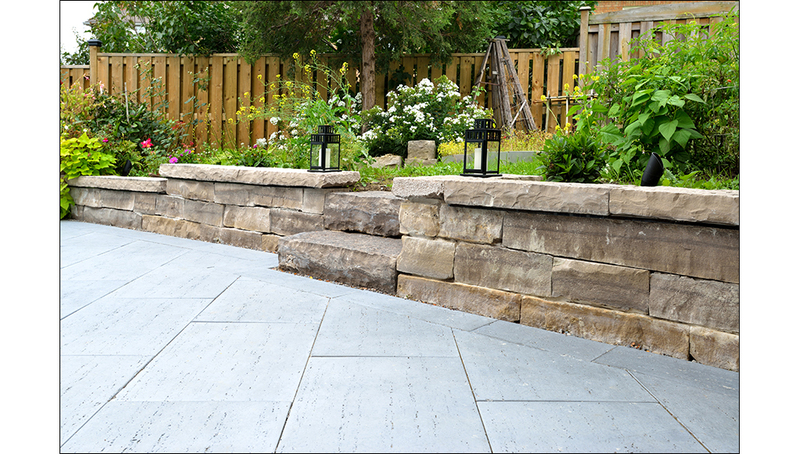 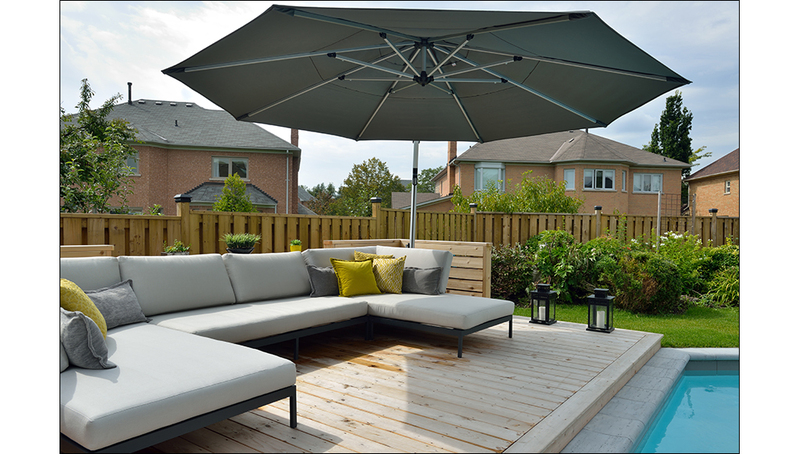 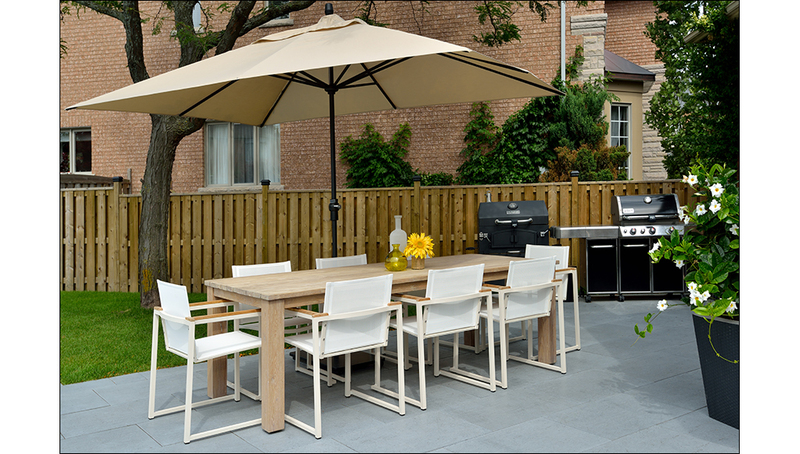 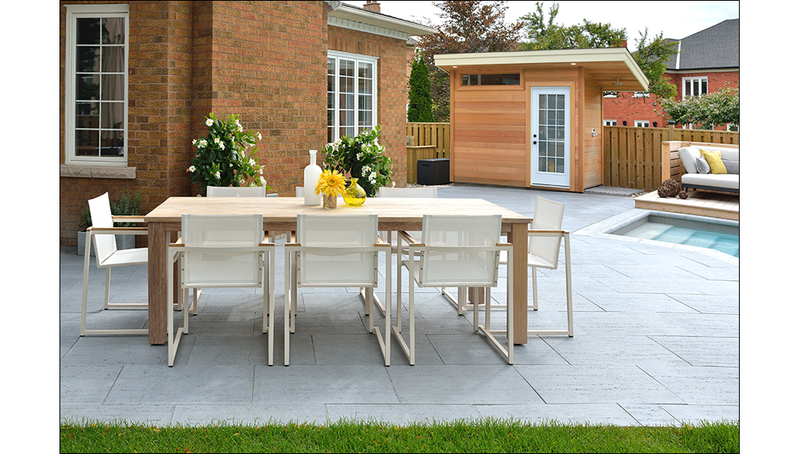 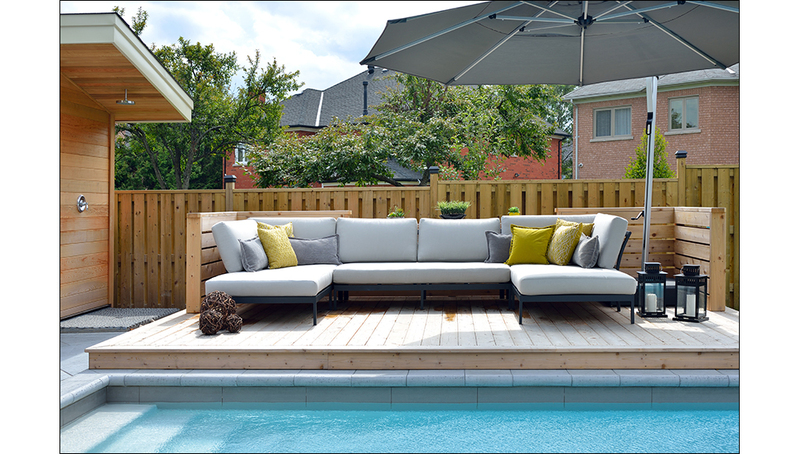 The gorgeous contrast of woods, stone, hardscapes and greenery create an airy feel that pairs perfectly with the comfortable and colourful outdoor sectional and patio dining set. 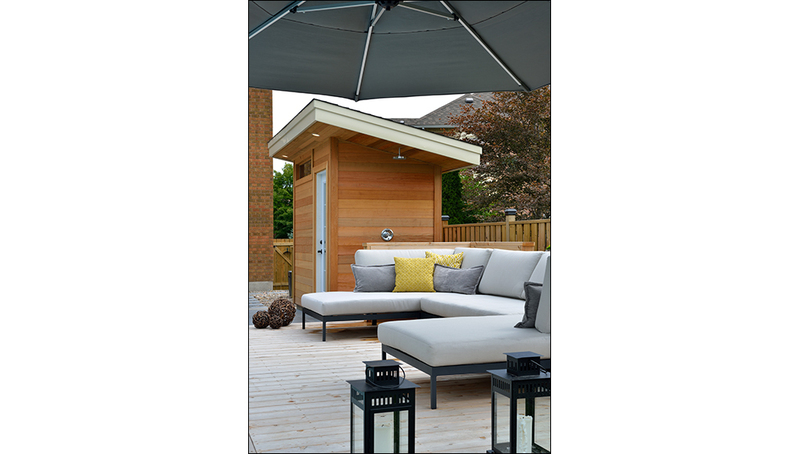 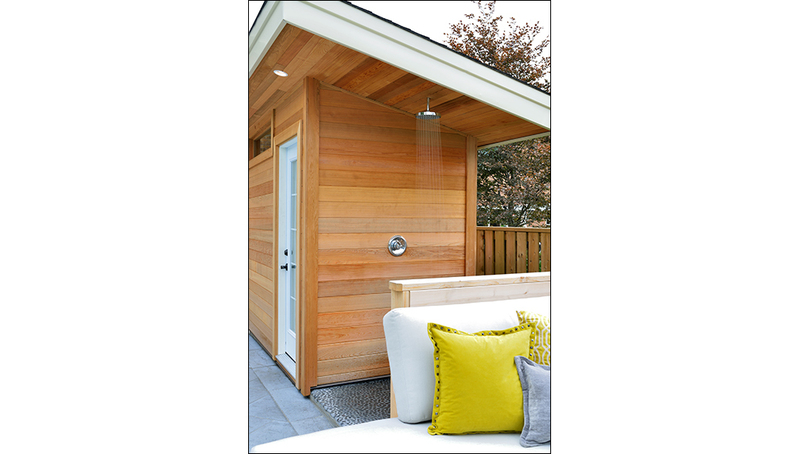 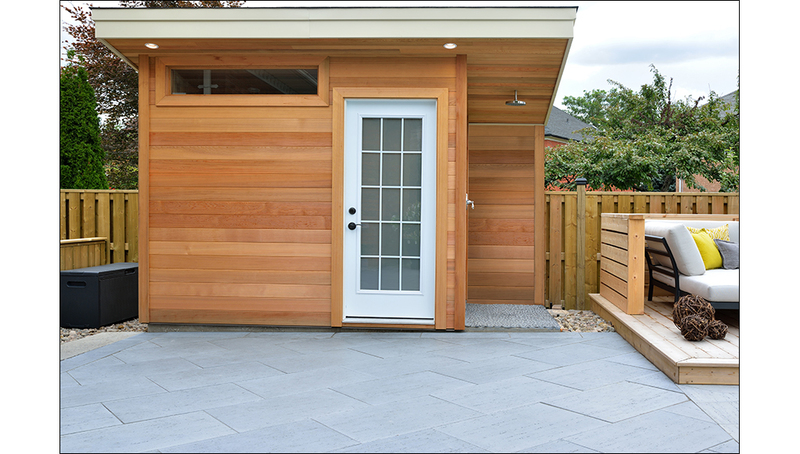 The new cabana features an outdoor rainfall shower, and was constructed alongside the custom deck and pool. 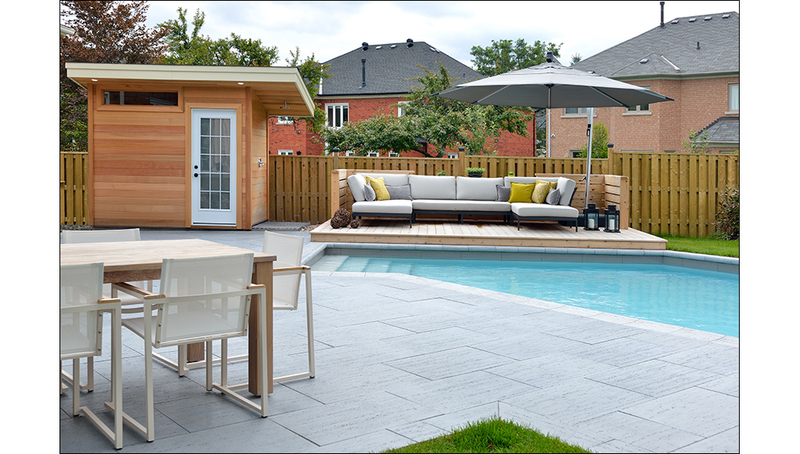 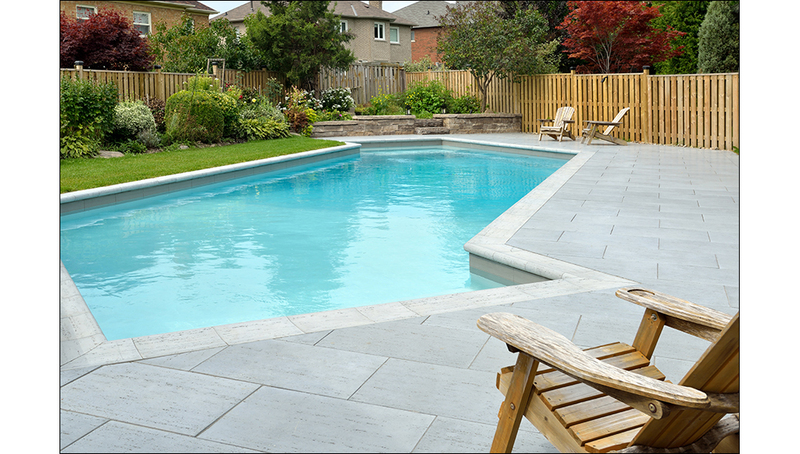 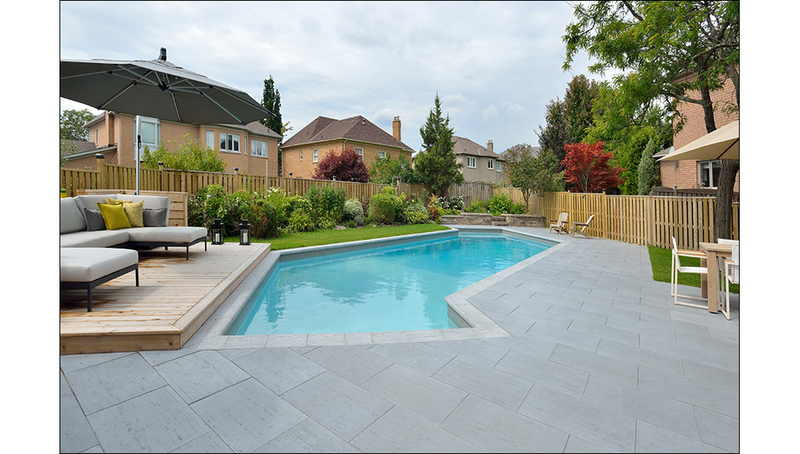 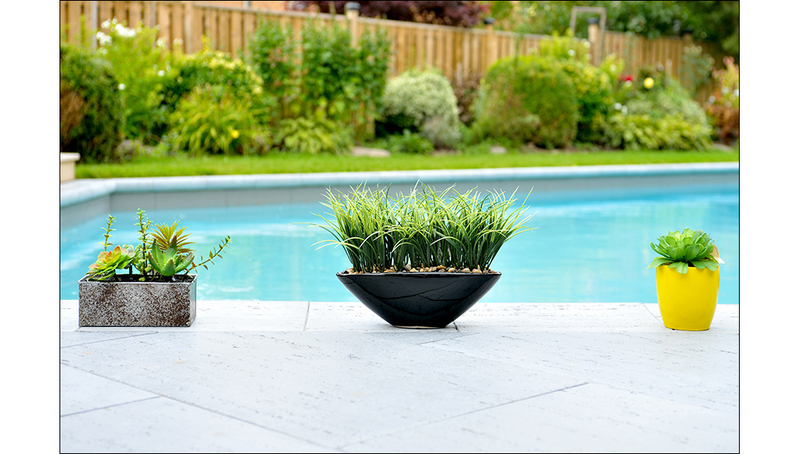 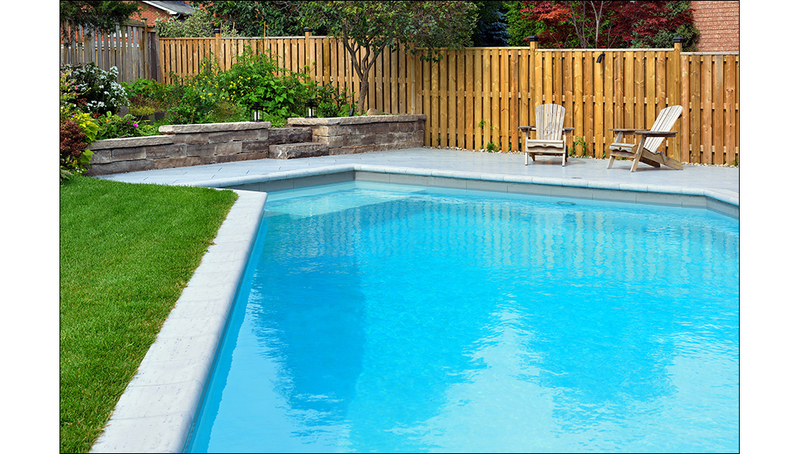 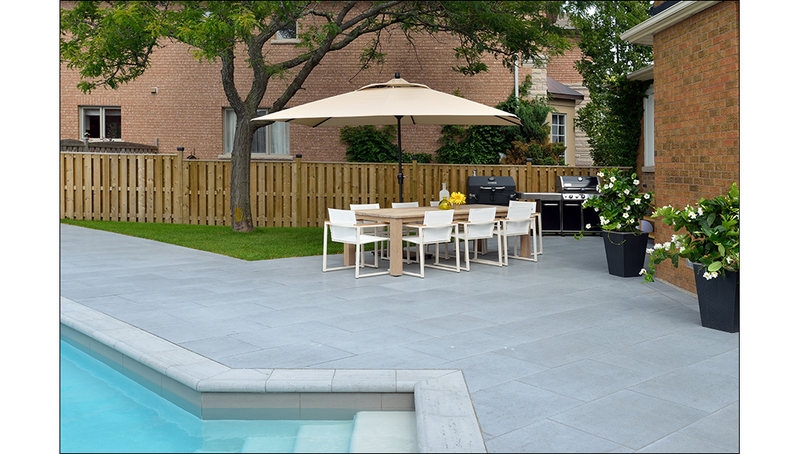 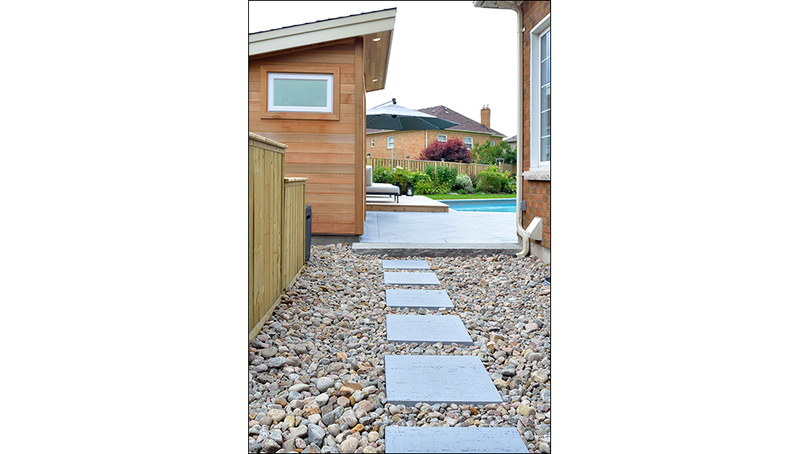 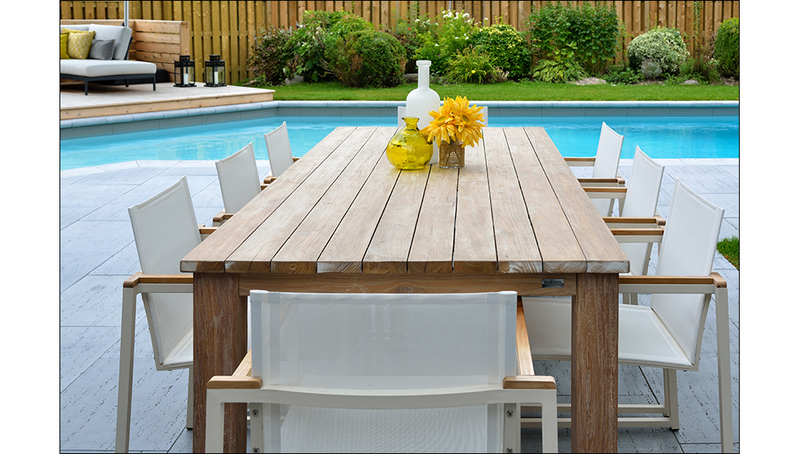 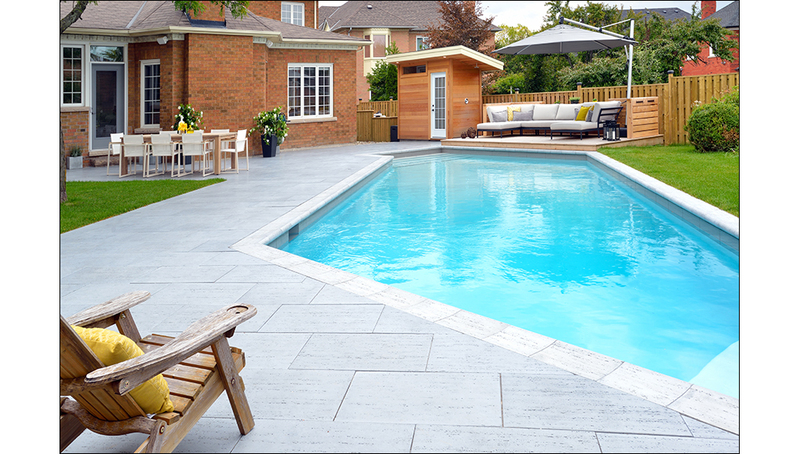 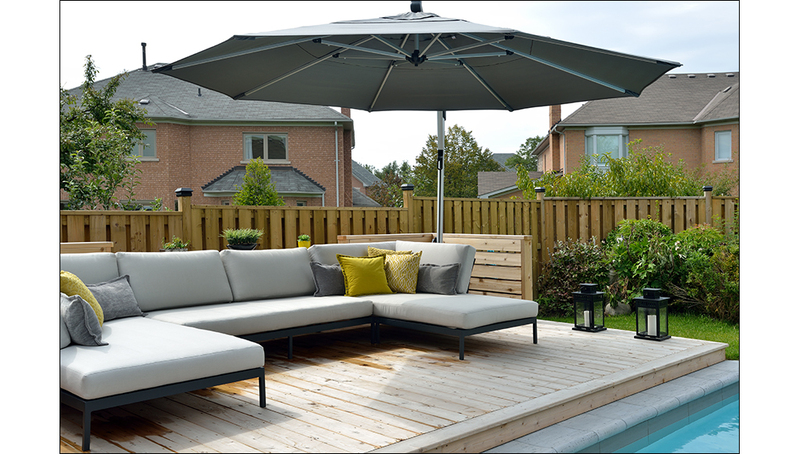 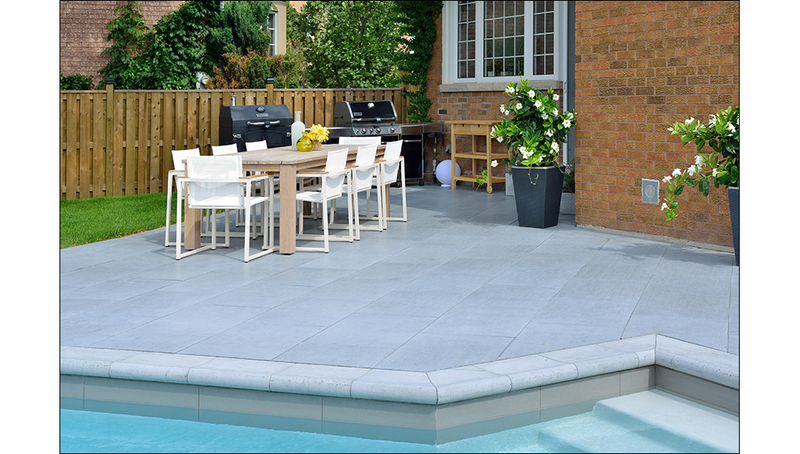 Ideal for activities ranging from entertaining friends to loungining poolside, this outdoor transformation is a model for luxurious practicality!